1947 Studebaker Sportster known as the "Gardner Special". The "Gardner Special" was designed and built by famed automobile designer Vincent E. Gardner of South Bend, Indiana while working under Raymond Loewy. Vincent bought a brand new 1947 Studebaker Champion three-passenger coupe off the assembly line that he took home, tore down, and made a sportster out of. The whole firewall and cockpit were moved back 18 inches, and before Vince fitted the car with a new grille, hood, deck and tail lights. The exhaust was routed through the taillights, something that made the pipes look red hot at night. The head light frames were rotated 180 degrees, which set the parking lights below. Sedan front doors were used by re-working the top section. Bumpers were 1949 Studebaker Commander. The hood and deck were equipped with an automatic lift operated by compressed air. The frame was reinforced for added rigidity. The radiator was lowered and moved forward, and the fan mounted on the crankshaft to correspond with the new radiator location. The steering gear was set back and rotated to the correct angle, and the clutch and brake pedals were extended to a new position. The interior was trimmed in natural tan cowhide. Fresh air was drawn into the car thru two holes on either side of the grille and blown in thru the heater. The heater was mounted on a a vertical wall above the toe board. The controls for the heater, headlights, and more were placed on the steering column. Glove compartments were placed in each door. Vince fit his creation with a removable Plexiglas top that could be stored in the trunk compartment. The engine featured 7.7 to 1 aluminum high compression head, hard faced valves, special coil, two carburetors and dual exhaust. 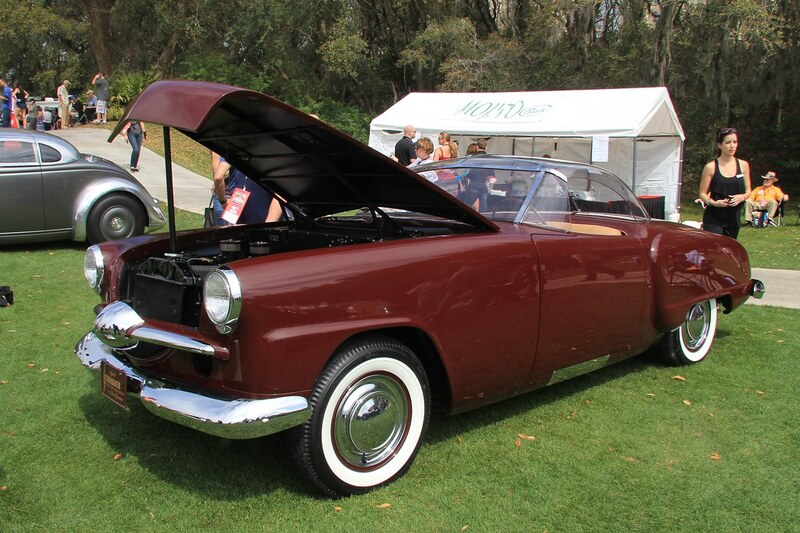 In 1949 Vince won the first ever Press-on-Regardless Rally with the Studebaker. The Press-on-Regardless Rally was a 24 hour time-speed-distance rally organized by the Detroit region of the Sports Car Club of America. Louise Gardner was listed as navigator. In 1950, The Gardner Special won the Most Magnificent Custom Roadster award at the National Roadster Show in Oakland. It did also come third, behind a George Barris entry and the So-Cal Speed Shop's 1934 Ford Coupe, for a "Greatest contribution to the Industry" award. The Gardner Special is still around, and was restored by Fran Roxas of Vintage Motorsports in Bridgeview, Illinois for John N. Allen of Naples, Florida between 2011 and 2012. Jason Arrigo of Arrigo Specialty Metalworks did all the metalwork on the car for Fran. The car had changed quite a bit over the years, but was restored back to its initial version by Vince Gardner. In March of 2012 the restored version of the car was shown at the Amelia Island Concours d'Elegance in Florida.